Events this weekend, forthcoming events, KZN Winter Tour, Boeing, Turkish Airlines Finalize Order for 50 737 MAXs, Maverick flying car crash, ATNS media statement, Constellation historical flight re-enactment, Springbok Classic Air upcoming flights, Rally Academy and Embraer in Peru. ISTANBUL, May 14, 2013 /PRNewswire/ -- Boeing (NYSE:BA) and Turkish Airlines today finalized a firm order for 40 737 MAX 8s, 10 737 MAX 9s and 20 Next-Generation 737-800 jets, valued at $6.9 billion at list prices. The order, originally announced as a commitment last month, also includes options for an additional 25 737 MAX 8s and is the largest Boeing order in Turkish Airlines' history. "We are delighted to finalize the order, which will considerably expand our fleet and contribute to our continued growth," said Temel Kotil, PhD, President and CEO of Turkish Airlines. "Turkish Airlines is a global airline, serving the most countries worldwide and we are building the strongest network in the world. Our long-standing partnership with Boeing is one of the key factors behind the success of Turkish Airlines." Today's announcement brings the total number of 737 MAXs ordered to date to 1,285 and Boeing currently has more than 3,100 unfilled orders for 737s. "Turkish Airlines currently operates more than 85 Next-Generation 737s, which are the foundation of its successful short-haul operations," said Todd Nelp, vice president of European Sales, Boeing Commercial Airplanes. "Today's announcement demonstrates the confidence Turkish Airlines has in the proven reliability, performance and economics of the Next-Generation 737, while the order for 50 737 MAXs marks a new chapter in their continued fleet expansion, ensuring unrivaled efficiencies and superior passenger comfort." Turkish Airlines currently serves more than 220 cities in 99 countries around the world. In March 2013, the carrier received its 100th direct delivery from Boeing and currently operates Next-Generation 737s and 777-300ER (Extended Range) jets. With today's announcement, Turkish Airlines has 100 Boeing airplanes on order including Next-Generation 737s, 737 MAXs and 777-300ERs. Two men suffered minor injuries Friday when the Maverick "flying car" they were in crashed in an elementary schoolyard in Vernon, British Columbia, Canada. Children had just started classes for the day and no one on the ground was hurt. 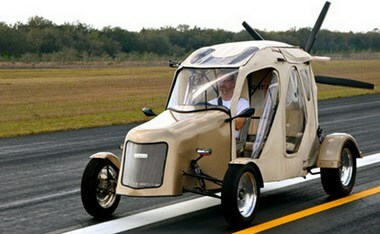 Ray Seibring, the pilot, and passenger Ed Haaskyk were on a demonstration flight of the aircraft, which is essentially a large powered parachute whose chassis is street legal. AVweb's Russ Niles was scheduled to fly next in the Maverick and witnessed the crash sequence, but not the actual impact. Niles said the aircraft had just turned base to return to the airport to pick him up when the fabric wing seemed to get a little ahead of the chassis. "It, for lack of a better description, spun about a revolution and a half before dropping quickly out of view," he said. "I heard the engine go to full power and then an impact noise." The car part tore through the chain-link fence that surrounds the school playing field and came to rest in a thicket of trees next to a creek. Witnesses said the occupants got out of the wreckage themselves and did not appear to be seriously injured. Investigators will have video footage from two onboard cameras and data from a flight data recorder to study in their review of the crash. The Maverick is built in Florida but Seibring is from Kelowna, B.C., about 30 miles south of Vernon, and was flying it on a temporary permit from Transport Canada. This was the first crash of a Maverick, although another developer of the vehicle, Steve Saint, was injured in a ground accident when he was hit in the head by an aluminum wing being tested for another project. For comparison purposes, the Maverick is best considered a powered parachute and the NTSB says there have been 59 accidents, eight of which were fatal, in the past 10 years. That makes the percentage of fatal accidents a little lower than average for GA accidents. Johannesburg, South Africa: The Air Traffic and Navigation Services (ATNS) Company of South Africa and the Swaziland Civil Aviation Authority (SWACAA) have signed a landmark Memorandum of Understanding (MoU) - which is in line with the African aviation agenda, of harmonising the continental airspace, thereby improving the smoothness and cost-efficiency of the entire air traffic service chain. The agreement was signed by Mr. Thabani Mthiyane, ATNS CEO (Acting) and Mr Solomon Dube, the Director General of the Swaziland Civil Aviation, on Friday, 10th May 2013, in Manzini, Swaziland. �ATNS is part of a larger collective that include other Air Traffic and Navigation Service Providers, Directorates of Civil Aviation and other airspace users within the African Continent - that is working tirelessly to bring down Africa's accident rate of 16,8, to the global average, which stands at 4�, said Mr. Mthiyane, after the signing of the agreement. The MoU entails the following: that it remains the responsibilities SWACAA to continue to provide the maintenance service of the ground equipment within the boundaries of Swaziland, which will support area control activities within the area of responsibility - delegated to ATNS. SWACAA will also ensure that the necessary arrangements are in place to enable ATNS to provide Air Traffic Services within Matsapha Airport on behalf of the Kingdom of Swaziland. This is partly, as a result of the close proximity of the Maputo, Nelspruit and Matsapha Airport. A better and easier management of air traffic - in a safe and orderly manner, is a necessity in this sub-region. Both ATNS and SWACAA have - in concluding the agreement, indicated that there would be a project management team which will hold internal meetings as and when required to assign actions, solve any problems and propose solutions, define specific activities, review the project schedule and formulate detailed aviation-related plans. Notwithstanding the provisions of the above-mentioned agreement, ATNS is committed to promoting the Southern African Development Community (SADC) Upper Airspace Control Centre and has already made a significant contribution to the regional cooperation with its other regional partners. The UACC will allow for the provision of air traffic services at regional level, based on the ICAO African Indian Ocean (AFI) Implementation Plan and CNS and ATM's highest standards. The countdown has begun for the ambitious re-enactment of a record-setting flight that helped usher in the modern age of air travel. The National Airline History Museum hopes to re-create the inaugural coast-to-coast flight of a Lockheed Constellation flown by Howard Hughes and Jack Frye in its own Connie. Right after the first Constellation was rolled out on April 17, 1944, Hughes and Frye jumped in the cockpit and flew across the country in less than seven hours. Orville Wright was on board and it was his last flight. The museum hopes to have its Connie fully restored and ready for the flight on the 70th anniversary in 2014. "There are so many great stories and great people associated with this effort," said John Roper, VP of Operations for the museum. There is a huge fundraising task ahead of the volunteer-run effort, however. They need about $3.2 million to stage the re-enactment, half of which will be spent getting the aircraft airworthy again. It hasn't flown since 2005 when one of its engines failed. The museum's Connie was one of the last built in 1958 and it was originally a cargo hauler. Its last job was as an aerial sprayer in Canada and it was retired to the desert in 1986, and a volunteer group from Kansas City got it airworthy enough to ferry it there. After restoration and reconfiguration to a passenger aircraft, it spent more than 15 years on the airshow circuit as one of the last flying Constellations. All four engines now run and a major inspection is planned for later this year to set the stage for restoration to flying condition. 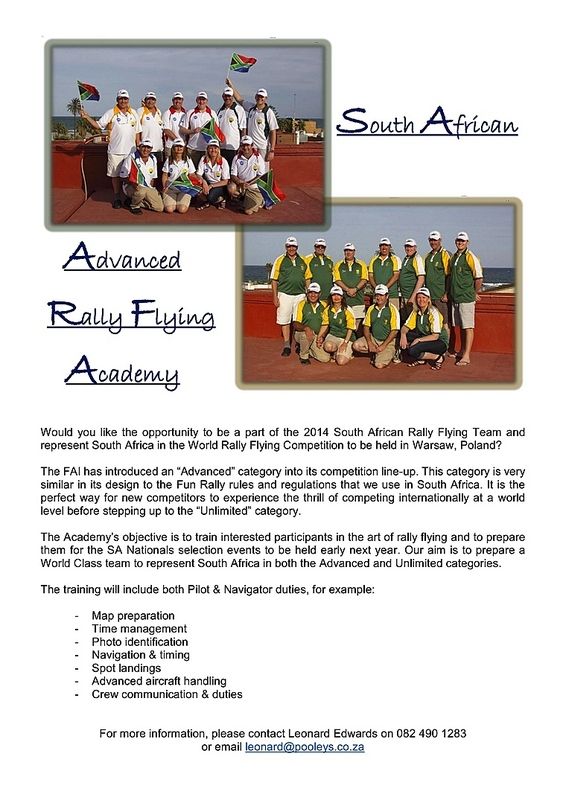 01 June 2013 - Return flight to Parys Airfield Depart at 07:00, return at 13:00. R880.00 per person (breakfast excluded) Guests can either enjoy breakfast at the airfield restaurant or plan their morning in the town. S�o Paulo, May 10, 2013 - Embraer Defense & Security will be present at the 4th edition of the IV International Defense Technology Exhibition & Prevention of Natural Disasters (SITDEF), which will be held May 15-19, in Lima, Peru. The Company will have a stand located in the Inka Pavilion (no. 170-171) and it will offer a broad spectrum of integrated solutions that combine high technology and operational efficiency at competitive acquisition and operating costs. This includes the A-29 Super Tucano light attack and advanced training airplane, the family of Intelligence, Surveillance, and Reconnaissance (ISR) aircraft, and the KC-390 military transport and refueling jet. 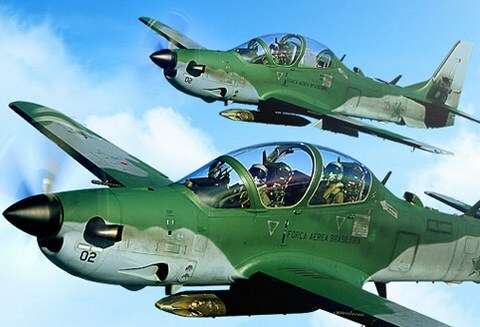 The Super Tucano is now in operation with nine air forces in Latin America, Africa, and Southeast Asia, and it was recently chosen for the Light Air Support (LAS) program of the United States Air Force, for the purpose of performing counter-insurgency missions in Afghanistan. 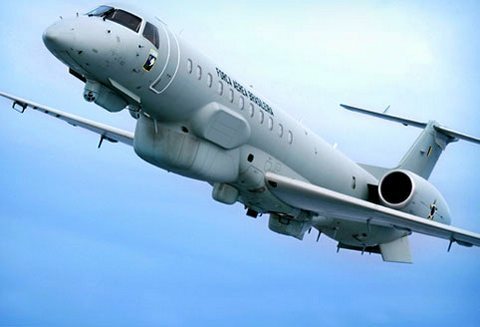 The ISR aircraft family consists of three models: Early Warning and Control (AEW&C), Multi Intel system (Remote Sensing and Surveillance), and Maritime Patrol (MP). All of the aircraft are capable of operating in an integrated manner with the Super Tucano, via a data link system. 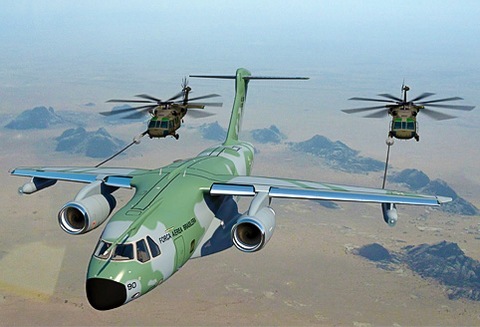 The KC-390, which is in the development stage, has 60 letters of intent to purchase and will set a new standard for medium-sized military transport aircraft, in terms of performance and payload capacity. The first flight is planned for 2014 and deliveries should begin in 2016. The portfolio of Embraer Defense & Security also includes state-of-the-art radar technologies, unmanned aerial vehicles (UAV), and advanced information and communications systems, such as Command, Control, Communications, Computers, Intelligence, Surveillance, and Reconnaissance (C4ISR) applications.